Edo State House of Assembly has passed a vote of confidence in President Muhammadu Buhari and, also, assured that the people of the state will continue to support his transformation agenda for Nigeria. The House also condemned Senator Matthew Urhoghide motion to impeach the president. The lawmakers said the People’s Democratic Party (PDP) senator moved the motion without consultation with his constituents. Last weekend, Edo South Youth Coalition (ESYC) gave senator Urhoghide, who represents Edo South senatorial district, a 48-hour ultimatum, to apologise to the president and people of the state or face recall. The motion for the vote of confidence in President Buhari was moved by the Majority Leader of the House, Mr Roland Asoro, while Messrs Tiger Edoro (Deputy Speaker), Chris Okaeben, Crosby Eribo, Henry Okhuarobo, Nosa Okunbor, Damian Lawani, Elizabeth Ativie, Osaigbovo Iyoha and others followed the path of the Edo youth group, by calling on Urhoghide to tender unreserved apologies to his constituents or they would commence a recall process as being requested by people of Edo South. 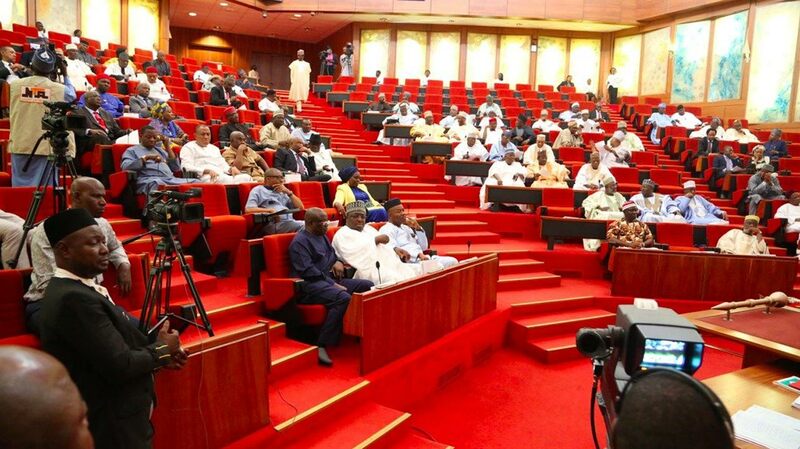 The lawmakers slammed the PDP for leading the country to its present security quagmire. “The PDP-led Nigeria to this present security quagmire. It will be recalled that during the abysmal rule of the PDP, specifically in September 2014, a private jet stacked with millions of dollars was used to launder money by the then federal government, all in the name of purchasing military hardwares. The humongous cash was later seized by the South African Authority. “During this heinous occurrence, no lawmaker from his party condemned the act, let alone moving a motion for the impeachment of the former president,” the lawmakers observed. Meanwhile, the campaign to recall Urhoghide continued in Benin, yesterday. Leading protesters to the state chapter of the Nigeria Union of Journalists secretariat, All Progressives Congress (APC) Youth Leader, Valentine Aisuen, appealed to the leadership of the union to pass the message to the PDP senator who he claimed has lost touch with his constituents. Aisuen, who spoke on behalf of the group, demanded a retraction of the said motion, calling for the impeachment of president Buhairi in the next 48 hours, else they will begin the process of his recall. He also urged the senator to concentrate on his legislative duties and shun divisive tendencies. “We are here (NUJ) to tell Urhoghide to withdraw that motion. And we want the support of the NUJ to help us pass the message to him. “We are giving him 48 hours to withdraw that impeachment notice otherwise, the process of his recall will start immediately. In his response, NUJ Secretary, Alemma Aliu-Ozioruva, said journalists are socially responsible to report the truth on any situation without bias in favour of individuals or institutions. “He also urged the senator to concentrate on his legislative duties and shun divisive tendencies. What are his legislative duties, if raising an impeachment motion is not part of it, when the need arises? Lazy Nigeria youths. God will not come from heaven to cure youse madness. Urhoghide should not apologize for doing his job whether it pleases a section of you or not. Go ahead with your recall process, I bet you read how it turned against Those who wanted Dino melaye recalled. Nothing must happen to your paymasters, the ones that you cry to periodically for #5000 whether he is behaving right or not.